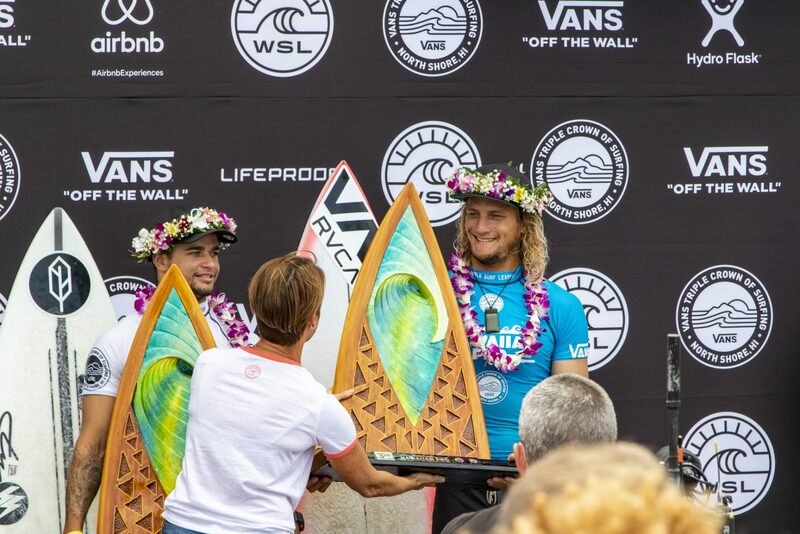 Ricardo Christie laid down a new chapter in New Zealand surfing history today when he went blow-for-blow with three of the world’s best in the final of the Hawaiian Pro at Haleiwa. His third place finish catapulted Ricardo from 14th to seventh on the WQS rankings and puts him in an incredible position for re-qualification for 2019. Ricardo’s surfing was his typical powerful style in the Haleiwa lineup and emulated that of 2012 World Champion Joel Parkinson, of Australia, who went on to win the event. The Australian is now the front runner for the 36th Annual Vans Triple Crown of Surfing (VTCS) title. Seventeen-year-old rising star Mateus Herdy, of Brazil, earned runner up, with Deivid Silva, of Brazil, in fourth. 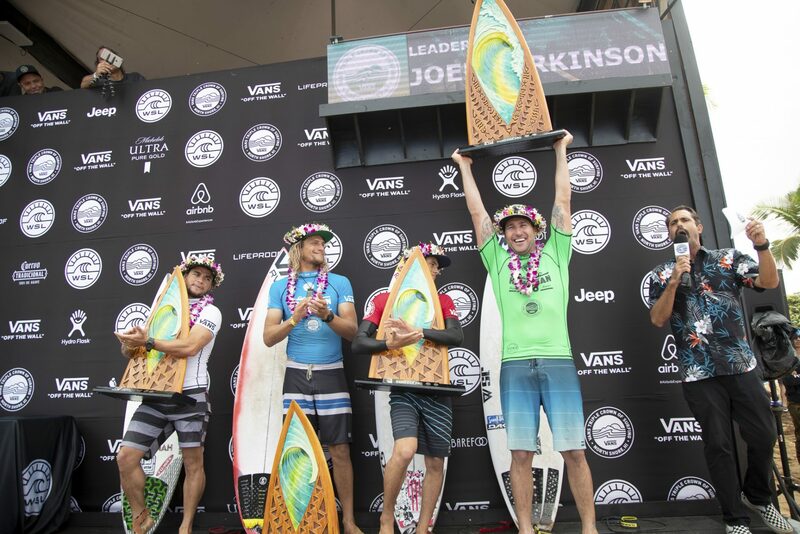 Parkinson won the VTCS three consecutive times in 2008, 2009 and 2010. The 2018 Hawaiian Pro marks Parko’s first win since 2013 and final competitive appearance at Haleiwa. He’s retiring at the end of the season. 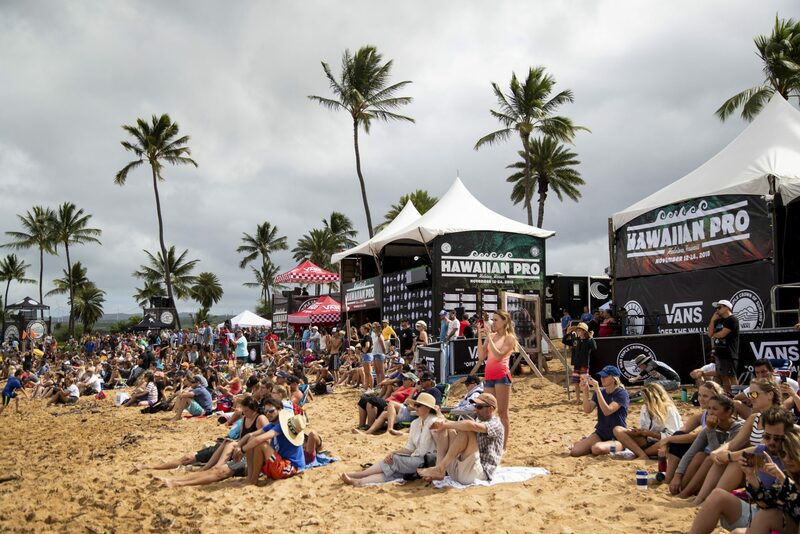 The final of the Hawaiian Pro was an incredible clash of classic surfing versus progressive with the waves turning on for a rapid-fire exchange among all finalists. Spectators were treated to a variety of power carves, barrels and aerial maneuvers throughout the 35-minute heat at Haleiwa Ali’i Beach. Each finalist earned a chance to shine as mother nature provided an onslaught of waves. By midway through the heat, it was anyone’s day. Ricardo’s best wave, an 8.40, was for a wrapping first turn into a tail slide followed by a quick barrel. Ricardo’s path to the final included a string of dominant wins and two-second place finishes in the quarter final and semi final – both times behind the young Brazilian and eventual second place finisher, Mateus. There is no secret that the more powerful waves of Hawaii suit 30-year-old Ricardo. He weighs in at 84kg and at 6’1″ he’s a powerhouse athlete. He’s always performed well on the rock – he even used Hawaii to springboard on to his maiden Championship Tour season back in 2015. But this time something is a little different. This time the Mahia local has a wealth of high-performance sport knowledge under his belt and three years of thinking about a 2015 season on tour that struggled to fire at times. That’s a pretty incredible motivation. 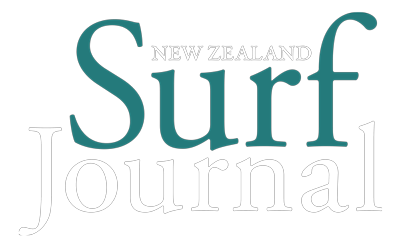 While he has rocketed from 14th to seventh place, Surfing New Zealand general manager, Ben Kennings warns that the WSL has not confirmed his place on the tour yet. Ben admitted that watching this event involved a few more nail-biting, number-crunching moments than usual. 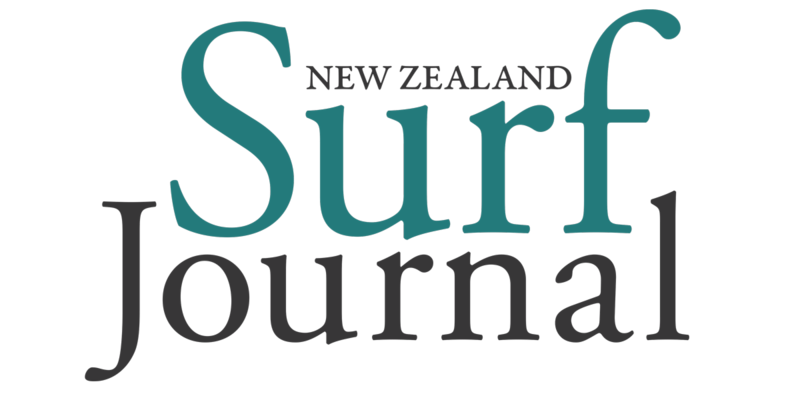 Surfing New Zealand president Chris Fougere has charged himself with empowering New Zealand’s surf athletes and was “immensely proud of Ric’s run at Haleiwa”. As were most Kiwis tuning into the events as they unfolded. Ben said this moment was huge for Ricardo, but also had wide-ranging benefits for all surf athletes in New Zealand. Ricardo seems hungrier and more clinical than ever right now and Ben puts that down to his experience. The maths are hazy, but there are two surfers, Kanoa Igarashi, of Japan, and Griffin Colapinto, of USA, who are inside the top 22 of the Championship Tour and are likely to remain if they perform well at Pipeline, who are also in the top 10 of the QS. If all goes well they won’t need their QS insurance and that will bump Ricardo up to fifth. But it will come down to Sunset and Pipeline before RocketLab in Mahia can send a rocket skyward with Ricardo’s name on it. If Sunset can produce the waves it is renowned for then Ricardo will be the surfer to watch. Now, that would be incredible to see. And not such a leap right now.